Who wants a drummie? A giant gummy drummie that is! No need to wait for the State Fair to grub down on that Turkey Leg! 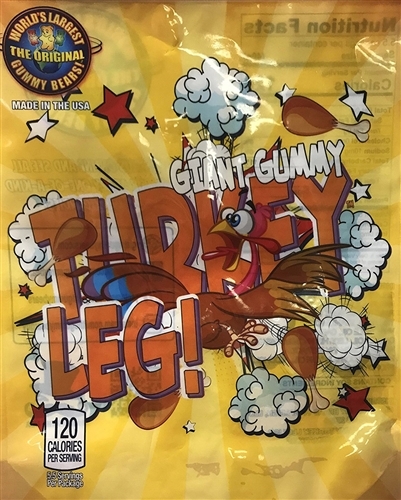 Now you can enjoy that delicious turkey leg anytime, anywhere! 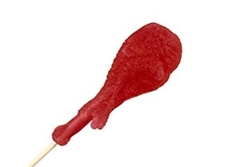 This Giant Gummy Turkey Leg is cherry flavored & measures 8” Long x 3” Wide. 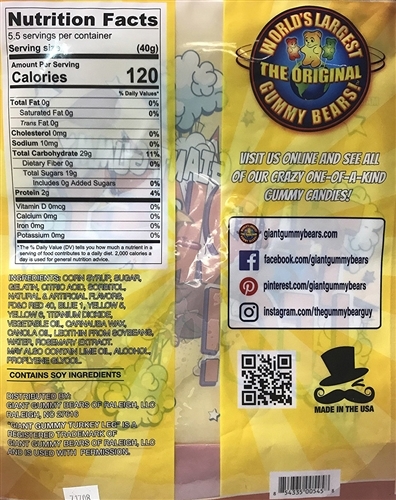 (8oz).